Mobility evolution gave us the possibility to be constantly in moving through the world. But our culture is something we need to carry with as it links us to our roots, thus to who we are. Learn how you can Watch Hindi Movies Online in multiple different ways from paid solutions to free options, anywhere in the world. I remember not too long ago how difficult it was to watch movies online. This was the time before the popularity of Kodi and in the boom time of torrents and sites like Napster. Now while torrenting is still available and in some ways gaining popularity once again, Napster has gone the way of the Dinosaur. The reasons for Napsters demise were simple – record companies were losing money. While the music industry as a whole was growing, the record companies were adamant that they could be making more and they figured out a way to make music sharing illegal. Of course, in reality this isn’t true – consumers today have proven it as music and video sharing continues in an altered fashion through services like Spotify and Netflix amongst others, with production houses regularly reporting record profits! When it comes to the world’s largest film industry – Bollywood – finding the most up to date movie or song online can be difficult. Fortunately there are ways to do it and you can do it for free too! While you can use Youtube for older Hindi movies, it’s not the best solution for newer content. Generally speaking you can find titles on Youtube if they are 3 or more years old. You might have to sacrifice a bit on quality, but it should stream regardless of where you live. If you want to watch newer movies or movies in HD quality with little to no buffering, your best option is a VPN like IPVanish. IPVanish is an internet security and confidentiality application that takes user security very seriously. The well-known VPN defends you against external threats, identity theft and much more that you could be exposed to on the internet but also makes sure your data is safeguarded and encrypted. Here are some of the amazing features of IPVanish! IPVanish has desktop applications for several operating systems, including Linux, macOS, and Windows. In addition to desktop services, it also supports Android and Apple iOS on the mobile side. This also means that you can use it on an Android box quickly and easily. VPNs are extremely useful when it comes to accessing content from other countries. Often streams from countries get blocked as they are only available to local audiences. In this case, simply use a Good VPN like IPVanish to connect to a server in that country and the VPN software will mask your IP address giving you access to the stream. It will appear as if you’re actually in the country. In addition to accessing content, VPNs as already mentioned are instrumental in securing your connection. They do this by creating a virtual tunnel between your device and the VPN server. Any traffic transmitted through this tunnel is completely private and encrypted. With a God VPN like IPVanish in place, streaming becomes significantly easier. Aside from the ability to access streams from other countries, by masking your online activities, your ISP is unable to detect the fact that you are streaming content. This protects you when it comes to fair use policies as your ISP cannot legitimately buffer or slow down your activities. Now when it comes to choosing the right VPN for Hindi movies, in my opinion there really is no choice. To be completely honest, while I enjoy Hindi movies, I also enjoy Hollywood ones and this VPN has never let me down. My choice is IPVanish. To help you start we’ve managed to get an exclusive 57% of IPVanish. OK before I get into the 100% free options, lets talk a bit about some alternatives that you might not have considered. For example, did you know that if you already have an Indian Amazon Prime subscription, you can gain access to it regardless of where you are in the world? Indian Amazon Prime has lots of unique content from TV shows to some of the most recent movies so it’s a great option. There are also websites that offer access to Hindi movies. I never recommend this route though for several reasons. They are stuffed full of ads and pop ups. While you might find the movie you want to watch, the constant interruptions are extremely annoying. The quality of the streams generally leaves quite a bit to be desired. You’d be lucky to get a decent SD quality stream and you might as well forget HD or 4K. Viruses and malware. Unfortunately these sites are often chock full of the worst the web has to offer. While you might think you’re getting something for free, you’ll often find yourself paying for it months later! A better option I find is using Kodi and a specific Kodi addon. There are several that offer access to Hindi movies which are worth exploring. Eros Now is an official Kodi Addon that regardless not be free so I’ll state that up front. However if you consider the cost that Bollywood channels add to a normal cable subscription, the cost you pay just to Eros for their service is a pittance. Eros Now is an official Kodi addon and you learn everything you need to on our guide on How to install Eros Now. In addition to Movies, Eros Now also provides access to comedy and TV shows. Eros Now is available in Hindi and Tamil for your viewing pleasure. Unlike Eros Now, Einthusan is a third party addon. This means its completely free but it also means it’s 100% necessary to use a VPN like IPVanish. Third party addons are great but they also often provide access to copyrighted streams and you might not always be aware of this. Make sure you get a VPN for protection. Einthusan offers streams in Pujuabi, Tamil and Urdu in addition to Hindi so you’re guaranteed to find something you’ll like. To help you it and start Watch Hindi Movies Online, we’ve got some detailed installation instructions that you can use to get Einthusan onto your system. If you have an Android TV box, Android Smartphone or Tablet you have options aside from Kodi for your streaming entertainment. While you can install Kodi on all of these to further extend their capabilities, you can also directly install apps. Live NetTV is one of these apps and it’s a real winner in my opinion. It’s been around for a couple of years and is constantly adding new channels and features. You can now “cast” directly from your smartphone to a cast enabled device for example and it has hundreds of channels available including many with Hindi movies. So, it’s a good way to Watch Hindi Movies Online wherever you are. 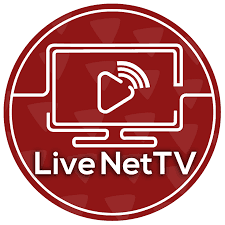 Check out our detailed post on installing Live NetTV and also read our review for more information on its features. 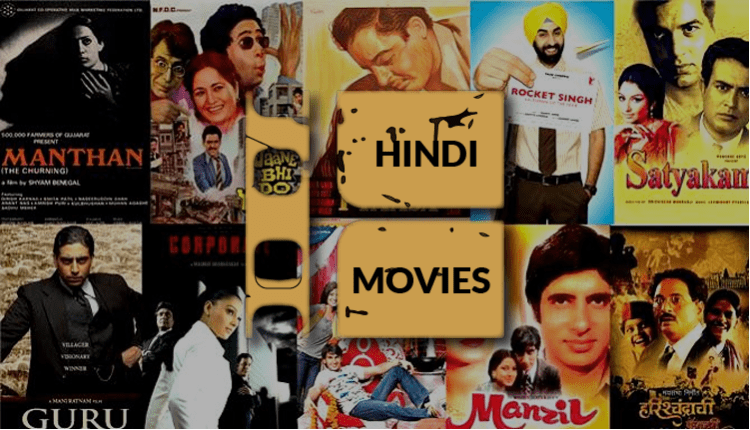 As you can see, there are many different options available to you when it comes to accessing and Watch Hindi Movies Online. While some of them have a cost to them others are completely free so you can pick and choose the solution that best suits your needs and requirements. It’s important that regardless of the direction you choose, you get a Good VPN for protection. Hope we’ve helped you to Watch Hindi Movies Online no matter where you are in the world. Please rate this post and share it with your friends!